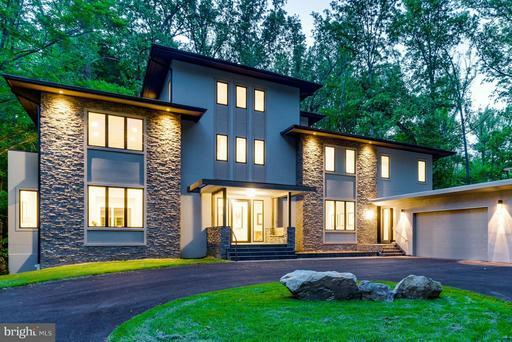 EXTRAORDINARY FOUR YEAR OLD CUSTOM HOME DESIGNED BY AWARD-WINNING GTM ARCHITECTS AND CONSTRUCTED BY ACCLAIMED SANDY SPRING BUILDERS WITH INTERIOR DETAILS BY NATIONALLY RECOGNIZED INTERIOR DECORATOR GERALD SMITH. UNPARALLELED FINISHES, MATERIALS AND EXPERT WORKMANSHIP DEFINE EVERY SQUARE INCH OF THIS SENSATIONAL PROPERTY. DESIGNED FOR A FULL SERVICE ELEVATOR, THIS GORGEOUS HOME FEATURES A STUNNING GOURMET KITCHEN, FANTASTIC FR WITH VOLUME BEAMED CEILINGS, MAIN LEVEL CLUB ROOM WITH CUSTOM MILLWORK AND BAR, FABULOUS MASTER BEDROOM SUITE WITH VAULTED WOODEN BEAMED CEILING AND PRIVATE BALCONY, PLUS TWO LIBRARY/OFFICES 1 ON THE MAIN LEVEL AND 1 ON THE UPPER LEVEL. THE EXPANSIVE OUTDOOR WRAPAROUND TERRACE OVERLOOKS AN EXQUISITE 30,000+ SQUARE FOOT PROFESSIONALLY LANDSCAPED AND PRIVATE YARD. FURTHER ENHANCING THE PROPERTY IS FOUR-CAR GARAGE PARKING AND A NEARBY PATH ACCESSING THE VIBRANCY OF DOWNTOWN BETHESDA. 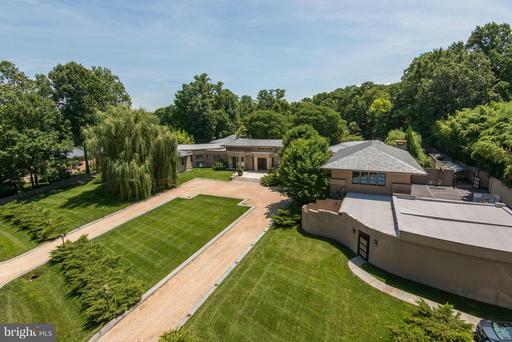 SPECTACULAR ONE OF A KIND CONTEMPORARY ON BREATHTAKING 2+ ACRE LOT W. RESORT SETTING. RENOVATED + EXPANDED IN 2006 WITH THE FINEST GOURMET KITCHEN, EXTRAORDINARY MASTER SUITE, THEATER, BOWLING ALLEY AND SO MUCH MORE. INCREDIBLE FLOOR TO CEILING MILLWORK ENHANCES TO 100 TRANSITIONAL GALLEY. SEE VIDEO. ONLY PRE-QUALIFIED BUYERS. ATTENTION AMAZON EXECS! SHORT COMMUTE LESS THAN 8 MILES TO CRYSTAL CITY! 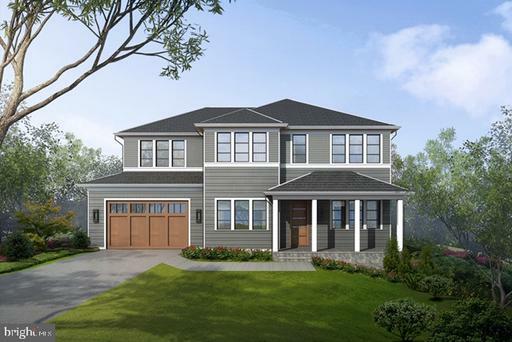 THIS EXTRAORDINARY NEW HOME DESIGNED BY AWARD WINNING GTM ARCHITECTS AND CONSTRUCTED BY ACCLAIMED AND RENOWNED SANDY SPRING BUILDERS WILL WOW THE MOST DISCERNING BUYER AT EVERY TURN. AN EXQUISITE STONE AND STUCCO EXTERIOR PROVIDES THE SPECIAL CURB APPEAL WHILE THE DRAMATIC AND OPEN TRANSITIONAL FLOOR PLAN IS IDEAL FOR FULL SCALE ENTERTAINING AS WELL AS COMFORTABLE FAMILY LIVING. FOUR EXCEPTIONAL FINISHED LEVELS FEATURE THE FINEST MATERIALS, DESIGN AND EXPERT WORKMANSHIP.FROM THE STUNNING GOURMET KITCHEN TO THE ADJOINING FAMILY ROOM WITH CONTEMPORARY INFLUENCED FIREPLACE AND STONE PROFILE TO THE SUN-FILLED CONSERVATORY WITH FULL PICTURE GLASS SURROUND TO THE DELUXE MASTER BEDROOM SUITE WITH LUXURY BATH AND PRIVATE DECK WITH SCENIC VISTAS, NO DETAIL HAS BEEN COMPROMISED IN PRESENTING THIS HOME OF DISTINCTION. A FULLY FINISHED WALK OUT LOWER LEVEL IS COMPLETE WITH SECOND FAMILY ROOM, GAME ROOM, MEDIA ROOM AND GUEST SUITE. BEAUTIFULLY SITED IN THE PRESTIGIOUS KENT NEIGHBORHOOD, THIS IS ONE OF THREE EXCITING HOMES THAT IS UNPARALLELED IN TODAYS MARKET. 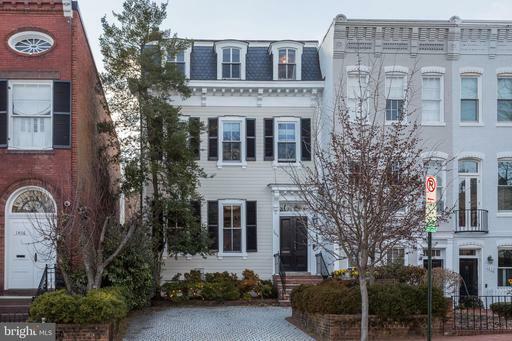 CONVENIENTLY LOCATED TO THE FINEST PRIVATE SCHOOLS, THE HOME IS MINUTES TO GEORGETOWN AND THE VIBRANCY OF DOWNTOWN WASH DC AS WELL AS TWO MAJOR AIRPORTS. EXTRAORDINARY CUSTOM-BUILT MASTERPIECE BY BUILDER/OWNER. DRAMATIC 2-STORY ENTRY FOYER, STUNNING GOURMET CHEFS KITCHEN, DELUXE MBR SUITE, SERVICE FULL ELEVATOR. FULLY FINISHED W/O LOWER LEVEL W/ REC ROOM, GAME ROOM, EXERCISE ROOM, THEATER, WINE CELLAR, GUEST BEDROOM, CATERING KITCHEN 4 CAR GARAGE. BREATHTAKING POOL OUTDOOR ENTERTAINING TERRACES. HOME WILL IMPRESS YOUR MOST DISCERNING BUYER. 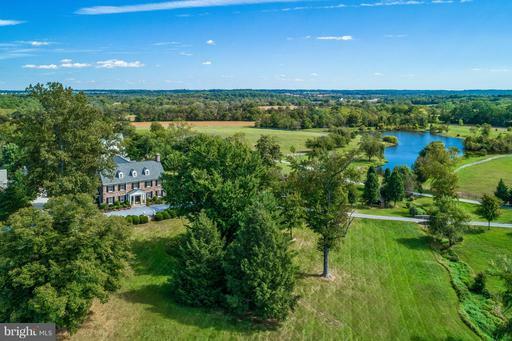 Welcome to this extraordinary estate property consisting of 5 lots on a total of 12 acres in the very prestigious Round Hill community in Potomac, Md. 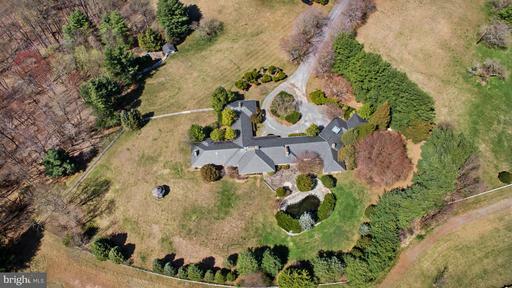 A large California style brick ranch home is sited on a 3+ acre lot with pool and circular drive and serves as the manor home for this breathtaking estate. An expansive open floor plan features large sun-filled well-proportioned rooms highlighted with large picture windows. The opportunity to both custom design and build a private masterpiece or further develop the site into a private compound is truly unique. Centrally located in a community of luxury multimillion dollar homes, this exceptional and special enclave of exclusive lots and property awaits its charmed future owner. 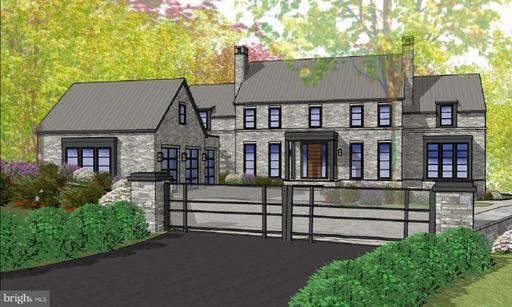 EXTRAORDINARY CUSTOM HOME 9300+SQFT BY ACCLAIMED SANDY SPRING BUILDERS. DRAMATIC ENTRY FOYER, STUNNING KITCHEN + FAMILY ROOM, MORNING ROOM + EXQUISITE LIBRARY. PRIVATE UPPER LEVEL STUDIO + EXPANSIVE FINISHED LOWER LEVEL. INVITING WRAPAROUND PORCH. EXCEPTIONAL MATERIALS, DESIGN + FINISHES. 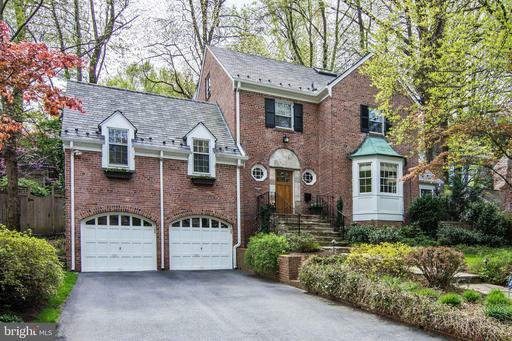 FABULOUS LOCATION ONLY BLOCKS TO HEART OF DOWNTOWN BETHESDA. EXTRAORDINARY PENNSYLVANIA FIELDSTONE CENTER HALL COLONIAL DESIGNED BY ACCLAIMED KATINAS ARCHITECTS FEATURES IMPECCABLE FINISHES AND EXPERT WORKMANSHIP ON 4 BREATHTAKING LEVELS WITH APPROX. 12,000 UNPARALLELED SQFT. EXPANSIVE PRIVATE GARDEN WITH MATURE SPECIMEN PLANTINGS, IN GROUND POOL, BLOCKS TO VILLAGE SHOPS AND RESTAURANTS. 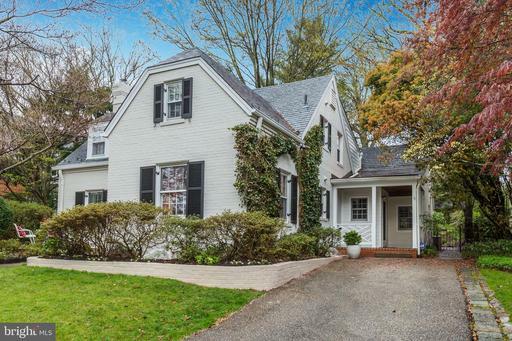 This Cullinane-built masterpiece is located in the prestigious Round Hill neighborhood. Sited on a gentle knoll, this special home is approached by a winding cobble drive and surrounded by landscaping, soaring oaks and poplars, delightful water features, including koi pond and pool, multiple terraces and balconies. Located on acul-de-sac, the home enjoys tremendous privacy and tranquility. The marble foyer with columned archways and volume ceiling provides a dramatic introduction to the home. Immediately evident is the design vision of nationally-acclaimed Barry Dixon who led a team of artists and craftsmen in creating a home of elegance and distinction. Graced by wide-plank, pegged oak floors, custom plaster ceiling details, paneling, oversizedcasings and mouldings, the level of detail and artistry throughout is without parallel. The main level features an embassy-sized dining room, large living room overlookingpool and terraces, library, office, gourmet kitchen, warm and inviting FR with adjoining wet bar. Additionally, the first floor features a full guest apartment with sitting area, kitchen, bedroom and full bath. The thoughtful layout upstairs - including a stunning master suite with separate his and her dressing and bathing areas - provides space and privacy for five bedrooms, each with en suite bath. A fully walk-out lower level includes the ultimate in entertainment and relaxation - from full-sized bar, to game area, additional FR with fire place, separate staff quarters, exercise room and sauna. 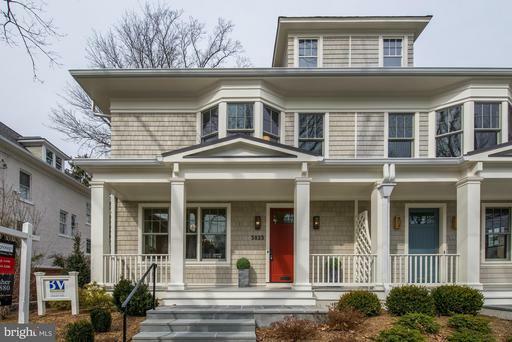 Constructed with the finest materials and lovingly maintained by its original owners, this home is ideal for FAM living, as well as large-scale entertaining, bothindoor and out. 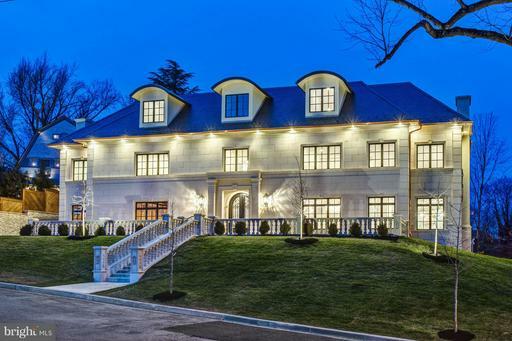 With easy access to Potomac Village, 495, and the areas finest public and independent schools, this beautifully-rendered, elegant home awaits its lucky nextowners. 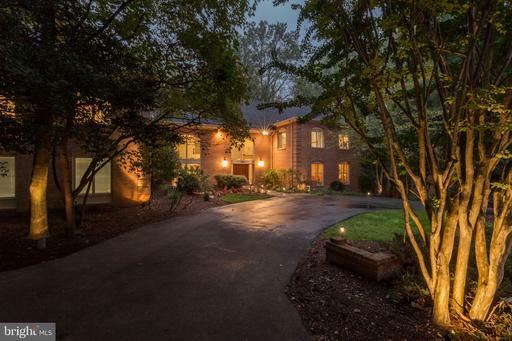 SENSATIONAL STONE COLONIAL W/ DRAMATIC FOYER ENTRY IN THE HEART OF KENWOOD. FORMAL LR AND DR W/ OUTSTANDING GOURMET KITCHEN, ADJ. MORNING/ BREAKFAST ROOM. EXQUISITE FR + LIBRARY, SEP. OFFICE WITH BUILT-IN CABINETRY DEN ALL ON MAIN LEVEL. GORGEOUS MBR SUITE W/ SR LUXURY MBA. FULLY FINISHED LOWER LEVEL W/ REC ROOM, GAME ROOM, MEDIA ROOM + FULL-SERVICE BAR. 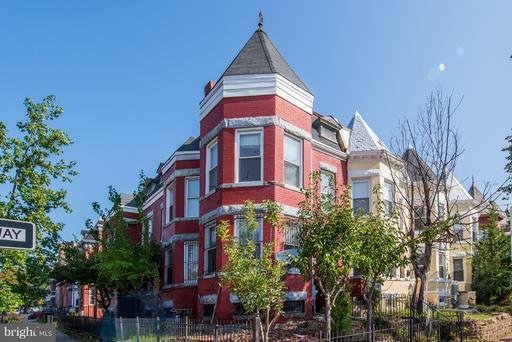 EXTRAORDINARY VALUE LOCATION. 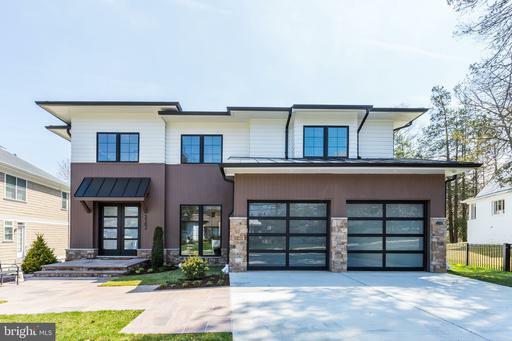 This brand new stunning contemporary influenced home just completed by acclaimed builder, Tom Bernitt, will wow the most discerning buyers. An open floor plan ideal for both full scale entertaining and comfortable family living has been impeccably designed using the finest materials and workmanship. From the gorgeous gourmet kitchen, to the exquisite baths, to the contemporary details throughout, this is truly a home of distinction. Three dramatic levels feature 6 bedrooms including a deluxe master suite as well as guest bedroom on the main level. Further enhancing the homes appeal is an outstanding lower level with large recreation/game room with transitional fireplace and exercise room. A two-car attached garage and level backyard complete the home which is ideally located in the Rollingwood section of Chevy Chase across from the wonderful Shepherd Park playground, tennis courts and sport fields and is only minutes to the local neighborhood shopping and dining, and Brookville market and pharmacy. 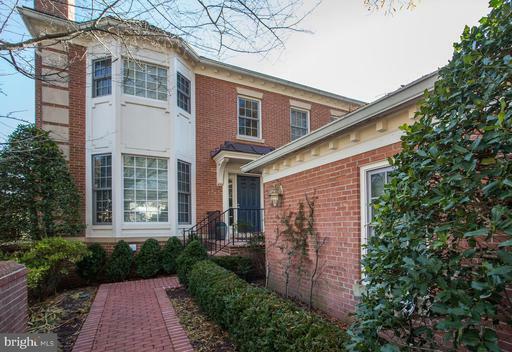 This fabulous all brick colonial with contemporary flair features a sun filled and open floor plan ideal for both full scale entertaining and comfortable family living. From the dramatic two story great room with multi tiered picture windows to the banquet sized dining room with coffered ceiling to the terrific gourmet kitchen with adjoining family room, this distinctive home reflects the pride of ownership. A deluxe master bedroom suite is complete with fireplace, sitting room and luxury bath while the fully finished walk out lower level is enhanced with professional theater, recreation game room and guest suite. Both an outdoor deck and extensive patios provide for outdoor living while taking advantage of a private and spectacular 2+ acre lot. 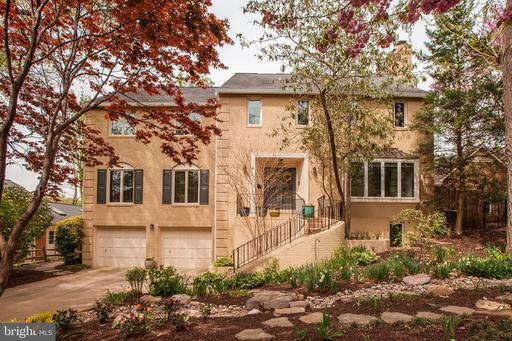 Beautifully sited on a quiet cul de sac with circular drive, this wonderful home is ideally located across from Congressional CC only minutes to the Capital Beltway, downtown Washington DC, Tysons Corner and two major airports. This exquisite newly constructed home by acclaimed Landmark Homes features a dramatic and sun filled floor plan combining the finest materials with superb design. From the outstanding gourmet chefs kitchen with adjoining breakfast room to the beautiful family room with coffered ceiling and contemporary fireplace to the two powder rooms and formal dining room, living room and large library, no detail has been compromised in presenting this home reflecting the pride of ownership. The upper level features 5 bedrooms including a sensational master bedroom with spectacular master bath as well as a common study for childrens activities. Further enhancing the homes broad appeal is a fully finished walk out lower level complete with recreation room, game room, exercise room and guest suite. The home includes an attached oversized two car side loading garage as well as an expansive covered deck overlooking the large level back yard.. Ideally located within blocks of the vibrancy of the Pike and Rose with its fine restaurants, shopping and multiplex movie theaters, this special home awaits the most discerning buyers. THIS BEAUTIFULLY CONSTRUCTED ALL BRICK GEORGIAN COLONIAL BY ACCLAIMED NATELLI BUILDERS FEATURES A TRADITIONAL SUN FILLED FLOOR PLAN WITH LARGE WELL PROPORTIONED ROOMS IDEAL FOR BOTH FULL SCALE ENTERTAINING AND COMFORTABLE FAMILY LIVING. FROM THE DRAMATIC CENTER HALL ENTRY FOYER WITH CUSTOM MILLED MOLDINGS TO THE OUTSTANDING RENOVATED KITCHEN WITH DESIGNER COUNTERS AND EXPANSIVE CENTER ISLAND TO THE FABULOUS FAMILY ROOM WITH FULL WALL OF MARVIN FRENCH DOORS AND PALLADIUM WINDOWS, NO DETAIL HAS BEEN COMPROMISED IN PRESENTING THIS HOME OF DISTINCTION. THE MAIN FLOOR ALSO INCLUDES EMBASSY SIZED FORMAL LIVING AND DINING ROOMS ALONG WITH A PRIVATE CUSTOM PANELED LIBRARY AND BREAKFAST ROOM WITH FULL PICTURE WINDOW SURROUND. THE UPPER LEVEL HOSTS A DELUXE MASTER BEDROOM SUITE ALONG WITH THREE ADDITIONAL BEDROOM SUITES. FURTHER ENHANCING THE HOMES APPEAL IS A FULLY FINISHED WALK OUT LOWER LEVEL COMPLETE WITH SECOND FAMILY ROOM, GAME ROOM AND GUEST SUITE. IN ADDITION TO AN ATTACHED THREE CAR GARAGE, THE HOME IS COMPLETE WITH AN EXPANSIVE DECK WITH VIEWS OF THE PRIVATE BACK YARD AND SCENIC VISTAS OF THE AVENEL TPC GOLF COURSE. 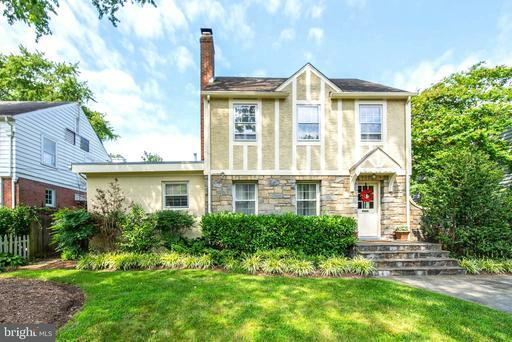 IDEALLY LOCATED IN THE DESIRABLE EAGLE RIDGE COMMUNITY WITHIN AVENEL, THE HOME IS CONVENIENT TO DOWNTOWN WASHINGTON DC, TYSONS CORNER, THE CO CANAL AND TWO MAJOR AIRPORTS. ONE OF THE LARGEST OUTSTANDING LUXURY TOWNHOMES IN THE STRATHMORE PARK COMMUNITY. OWNER HAS CREATED A DRAMATIC OPEN FLOOR-PLAN W/ DESIGNER FINISHES UPGRADE. 2 OUTDOOR TERRACES OVERLOOKING THE GROUNDS OF STRATHMORE, 2 CAR GARAGE PARKING 4 OFF STREET SPACES. COMMUNITY TRAIL LEADS TO GROSVENOR METRO MORE! OPEN HOUSE 3/24 1:00-4:00! Welcome to the premiere townhome in Avenel, a stunning top-to-bottom renovation by acclaimed Jeffco Builders, being offered for the first time since its completion. 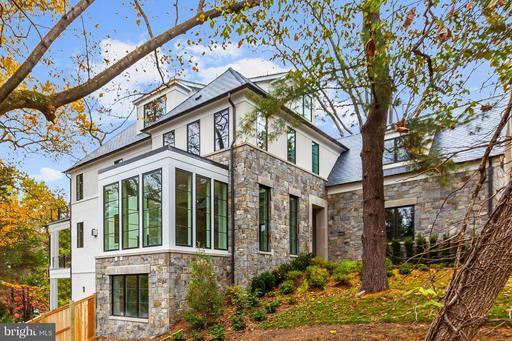 Ideally sited on the 13th Hole of TPC at Potomac Farms, this airy and light-filled gem boasts three-levels of open elevator living complete with five-bedrooms and five-bathrooms. 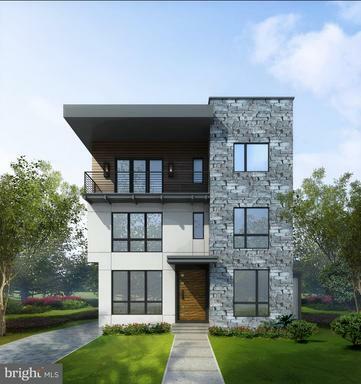 The upper level features oversized Master Suite overlooking the gorgeously hardscaped rear yard with Master Bath adorned with marble throughout and two additional bedrooms complete with en-suite bathrooms. The main level features gourmet chef~s Kitchen opening to a double-wide Family Room perfect for both comfortable family living and entertaining in addition to spacious Dining Room and Living Room off of the two-story foyer. The lower level extends the indoor/outdoor living appeal with a full walk-out to the private rear patio with Jacuzzi and golf course views in addition to second Kitchen and two Guest Bedrooms each with en-suite bathrooms. 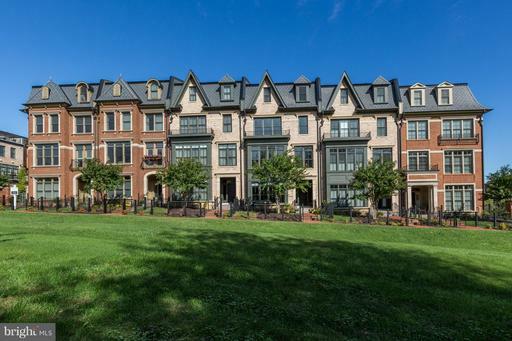 Conveniently located with access to 495, Potomac Village, Northern Virginia and downtown DC! 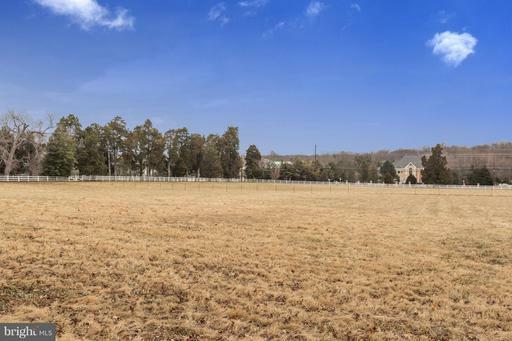 ONE OF TWO ADJOINING 2 ACRE LEVEL LOTS IN PREMIUM LOCATION IN CLOSE- IN POTOMAC INSIDE FALLS RD. 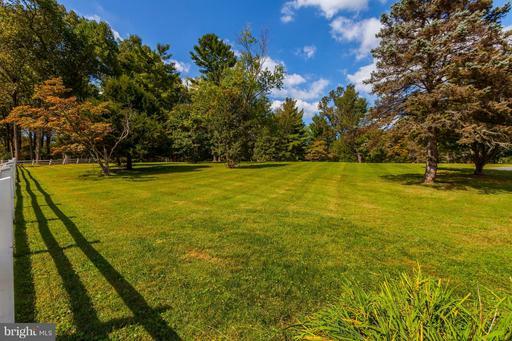 NEW PRICE REFLECTS SELLER TO BRING PUBLIC WATER SEWER TO SITE AND NOT TO EXCEED $35K TO BUYER AS WELL AS OFFSET BUYERS REFORESTATION EXPENSE AT SELLERS COST. CALL FOR STATUS AND INFO SUBJECT TO SUBDIVISION. MAGNIFICENT FOR ENTERTAINING! 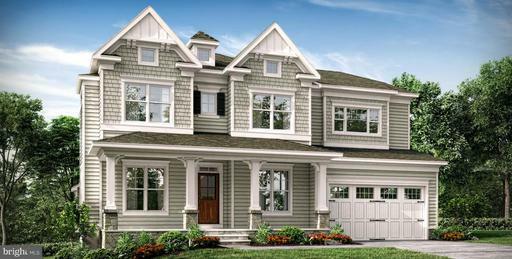 6 BR,5.5 BA WITH SUPERIOR WORKMANSHIP. OPEN FLR. PLAN W/4 FIN. LEVELS. HWF ON MAIN LEVEL. ANDERSON THERMAL DRS. WIND. FILL HOUSE W/NAT. LIGHT. GOURMET KIT. W/SS APPL. GRAN. COUNTERS. SEP. DR. FAM. RM. W/DBL. SIDED GAS FP. MBR W/MARBL. MBA. LL W/SEP. ENTR. MEDIA RM. 2 CAR GAR. PRIVATE YARD. LOTS MORE. MUST SEE. EASY ACCESS TO DC, DTN. BETHESDA TYSONS. SPECIAL + UNIQUE RESORT STYLE PROPERTY CONTAINS FABULOUS STONE GUEST HOME AND DETACHED CABANA/ POOL HOUSE W/ SPA BATH + PR AND 3 CAR HEATED GARAGE. DESIGNED BY ANN DECKER + PROFESSIONAL LANDSCAPING BY LILLA FREDRICK. EXQUISITE GROUNDS, POOL, SPA + WATERFALLS. PERFECT FOR FULL-TIME RESIDENCE OR WEEKEND GET-AWAY. UNLIKE ANYTHING ON MARKET. CALL FOR DETAILS.